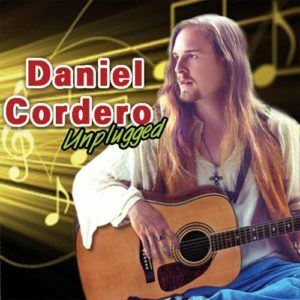 Many local artists move here to Lake Chapala, but Daniel Cordero is an American musician who grew up here. This fascinating interview tracks the personal and musical history of an outstanding musician. 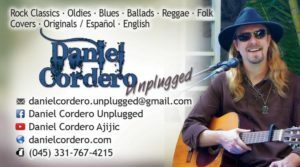 You can catch Daniel at the Iron Horse (78 Hildalgo)on Sunday afternoons! You are the definition of a working musician! I understand that you are performing in 2 different bands, as well as a solo artist. Can you tell us a little about the bands? 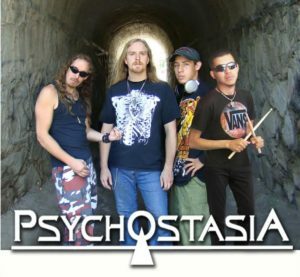 Well, I am lead singer-rhythm guitar/keyboards/harmonica in a 4-piece band called Psychostasia,a classic hard rock group that plays originals and covers. 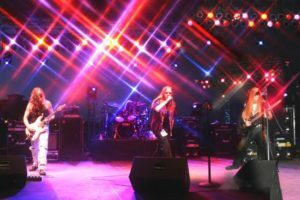 We’ve been called “the best rock band in Mexico” by Leyendas del Rock (Rock Legends) magazine, and have won some prestigious worldwide music contests and songwriting awards. We are currently playing at festivals and events around Mexico. My second project is a trio we call Lot Of Trouble (LoT). Our songs are much mellower, but with a cool groove, such as soft rock. 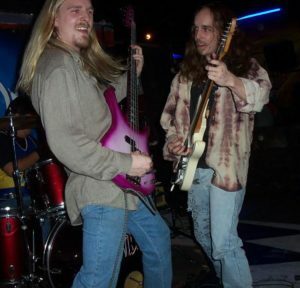 The trio is composed of me on rhythm guitar and drums, my brother David on electric guitar (he is also lead guitarist in Psychostasia), and good friend Renich Bon Ciric on piano. All three of us sing and harmonize. We are currently under contract to an upscale Boutique Hotel in Guadalajara. And, on the lighter side, I’ve been called a one-man- band in my solo gigs, where I sing, play a classic acoustic guitar, drums and harmonica, and include steady footwork with a pedal I invented, which adds bass drum and various other percussion instruments and effects. I’ve also been called a walking jukebox, because I have a repertoire of around 750 songs — Oldies, Rock/Pop Classics, Blues, Reggae, Ballads – in English and Spanish. This means that I frequently know a song requested, or at least another by the same band or artist. How does performing in the bands differ from your solo performances? Regardless of the venue, I love music. Almost any and all music. It is totally in my blood and part of who I am. Performing solo allows me to take liberties with a song, play whatever song I want to, etc. That is nice, and it has allowed me to support my family as a full-time musician doing something I love. The LoT trio and Psychostasia both require teamwork. Psychostasia, in particular, is very demanding physically and vocally. But that’s where having a team helps out, with all of us backing each other up. That teamwork is very gratifying and brings extra fulfillment to the music. As well as being a musician, you are also a composer. Where do you get your inspiration? And your energy? During our years here, my brother and I have composed around 80 songs. Like most musicians, we are inspired by our own experiences, or what we observe and read about. We amplify and pour our feelings and our life into songs. 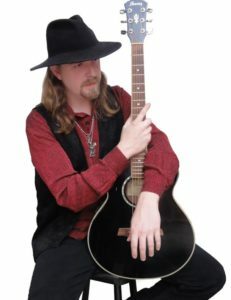 Many of our songs are commentary, expressing our personal opinions of what is going on in the world around us, regardless of culture or country. 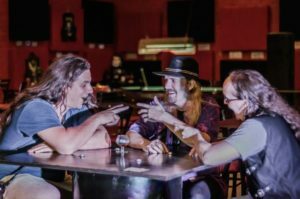 What difficulties have you encountered being an American rock musician in Mexico? Because I grew up in Mexico and have spent over half my life here, I actually consider myself an American and a Mexican musician. I discovered my love of music here in Mexico. 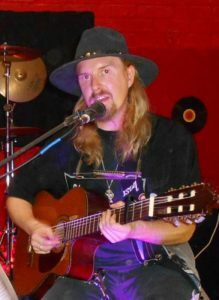 I play both Latin and American songs, sing and compose in both English and Spanish, am bilingual and married to a Mexican woman and we have a Mexican-born child. In other words, this is home. I am fully committed and integrated into the Mexican culture. My brother and I were befriended by the young people in our pueblo when we first moved here, and they have always been loyal and supportive. However, I cannot deny that we have encountered a certain amount of racial prejudice in others, just as Latinos (unfortunately) find in the U.S. I believe that we are all part of the same race, the human race. And musicians are all part of a very special brotherhood; we should all be encouraging and helping each other. Sadly, not all musicians share that philosophy. A common belief here is that all “gringos” have a lot of money and therefore don’t need a helping hand (totally untrue in our case). And because of prejudice, some Mexicans don’t seem to want the “gringos” to share the same opportunities they enjoy. But this is true of only some, not all. We try to live our philosophy and hope that it makes an impact. Because of very limited resources, it hasn’t been easy to reach out musically to the world from a tiny pueblo in Central Mexico. But we have been inspired by the loyal fans and supporters we have found here, and have persevered out of our genuine love of music. Listening to your music, your audience would never know that you are hearing impaired. Tell us how this impacts your music? And about your Sound Wave Therapy CD? Being hearing impaired is not something I share openly, so very few people know. I read lips and also I’ve been told that I have a gift for “feeling” the vibrations of sound. This gift has helped me learn to play over 8 instruments. It also led me to explore the dynamics of sound frequencies and their effect on the human body, mind and psyche. My research revealed that certain, precise digital tones and frequencies have been found to improve health. In 2004, hoping to help a friend dying from cancer, I produced a sound therapy CD: 60 minutes of extemporaneous classical guitar played over binaural beats and frequencies aimed at relaxation, pain relief and healing. I had no intention of selling the CD when I recorded it for my friend, but I discovered that many others wanted a copy also. So I printed up a thousand CDs, titled it “Tuning in to Soundwave Therapy” and offered it for sale. It sold out really quickly. I am hoping to someday reprint that CD, and also add a second volume designed to enhance mental acuity and vitality. What brought you Lake Chapala? We would love to hear your story. I believe destiny brought me here. 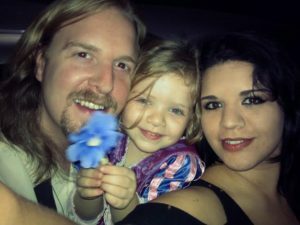 My family and I came to Mexico to escape the high-stress lifestyle of the U.S., and we fell in love with the Mexican way of “family first” (work to live not live to work). I will never stop learning; it’s my passion. I am always hungry for new music, learning, and creativity. It’s what keeps me going. I also have another creative project in the works: a line of rock clothing and accessories. Music is the heart and soul of Mexico. Live music and opportunities to learn and create are everywhere! Take advantage of that whenever you can.